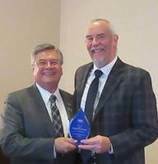 SBA District Director Ruben Garcia presents awards to each lender, in photos below. The event was coordinated by SBA Lead Lender Relations Specialist Maria Hughes in conjunction with the CDC Small Business Finance. SBA District Director Ruben Garcia provided opening remarks; Maria Hughes moderated the event and Neil Senturia, venture capitalist, author, entrepreneur, and news columnist, provided a keynote speech on The Entrepreneurial Characteristics of Borrowers. 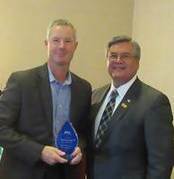 In addition, Kurt Chilcott, President & CEO, CDC Small Business Finance provided a NADCO Report and Gary Youmans, Senior Vice President at First Choice Bank in California gave a NAGGL Report. 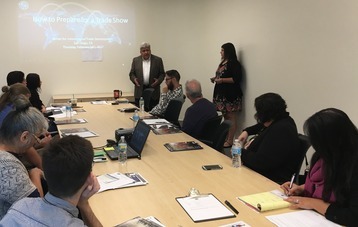 Carlos Figari, Director, SOCAL VBOC gave an update on SBDC/VBOC activities and Jocelyn Celaya, President of The Entertainment Small Business Alliance gave a brief presentation on the entertainment loan program. More than a year ago the San Diego District Office was contacted by a local company who was a subcontractor on a large federal job over prompt payment issues. The subcontractor completed his contract and was not getting paid. This was further complicated by the fact that the sub-contractor had a SBA Loan which was collateralized by his equipment and personal residence. It would have been easier to write off the loan and collect what the bank could, Terry Nutter of CIT worked with the borrower and SBA to establish payment plans and keep his home out of foreclosure. 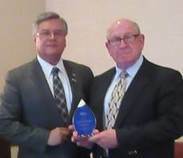 The SDDO is pleased to provide recognition to Terry and CIT for the assistance they provided. 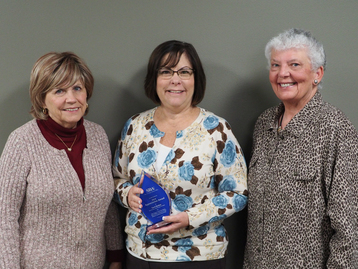 The award was presented at the Lender Awards Luncheon on February 8 and again on Feb 27 at a CIT SBA Staff Meeting. Maria Hughes, Lead Lender Relations Specialist and Jill Andrews, Deputy Director attended the CIT Staff meeting. Maria Hughes worked with the bank and borrower for more than a year to find remedies. Background Info: There are three pieces of federal legislation that require Prime Contractors to pay subcontractors in a timely manner. These well intentioned provisions can be circumvented and often are by the Prime Contractor. The most common reasons for non-payment are, not closing out the contract, a dispute on the project, or failure to get change orders approved. 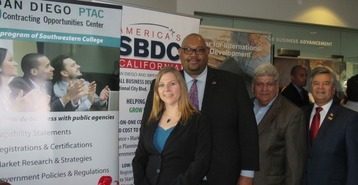 Photo above: (left to right) Rachel Fischer, Director, San Diego Procurement Technical Assistance Center: Marquise Jackson, Regional Director, Small Business Development Center San Diego and Imperial Valley Network; Victor Castillo, Director, San Diego Center for International Trade Development and Ruben Garcia, SBA District Director, San Diego. 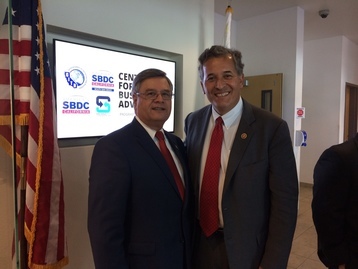 Photo above: (left to right) Ruben Garcia, SBA District Director, San Diego with Congressman Juan Vargas at the CBA ribbon cutting event. Ruben Garcia and Cynthia Harris, SBA District International Trade Officer, San Diego attended the ribbon cutting ceremony for the Center for Business Advancement, at Southwestern College, in support of these important small business resource organizations and the South San Diego SBDC, which are now all housed within the CBA. Photos above: (Top) Monica Rosas, International Trade Consultant, San Diego CITD; (Middle) Cynthia Harris, SBA District International Trade Officer; and (Bottom) Victor Castillo, Director, San Diego CITD. 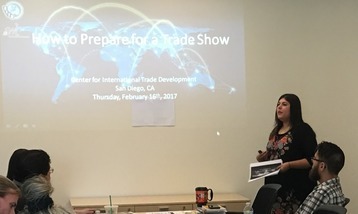 The San Diego Center for International Trade Development in conjunction with the SBA San Diego District Office conducted a workshop designed to provide guidance in finding and preparing for international trade shows. Monica Rosas was the main presenter. 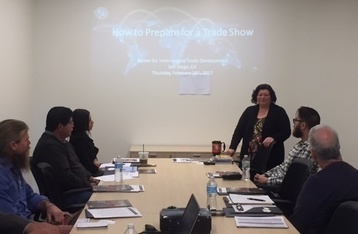 Cynthia Harris provided an overview of SBA programs and services and Victor Castillo, gave an introduction of San Diego CITD services, as well as the California State Trade Expansion Program (STEP) and upcoming events. Photo above: (left to right) SBA San Diego Office staff Cynthia Harris, Carlos Liu, Maria Hughes, Merica Lim, Jill Andrews, John Engstrom, Congressman Scott Peters, SBA's Ruben Garcia and Mike Sovacool. 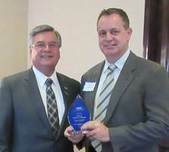 Congressman Peters provided SBA staff with an update on current congressional projects. Small nonfarm businesses in 32 California counties and neighboring Arizona and Nevada counties are now eligible to apply for low‑interest federal disaster loans from the U.S. Small Business Administration. These loans offset economic losses because of reduced revenues caused by the drought in the following primary counties beginning Jan. 1, 2017, announced Director Tanya N. Garfield of SBA’s Disaster Field Operations Center - West. Neighboring Nevada counties: Clark, Douglas, Esmeralda, Lyon, Mineral and Nye. So You Have a Brilliant Idea. What’s Next. 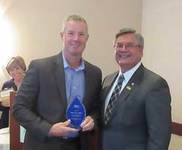 Click Here to subscribe to the San Diego District Office E-Newsletter, for SBA program updates and event notifications. To subscribe to receive email updates from an office near you Click Here. Articles, photos, and linked information included in this newsletter are for informational purposes only and do not indicate an endorsement by SBA of the views, opinions, products or services of any person or entity. 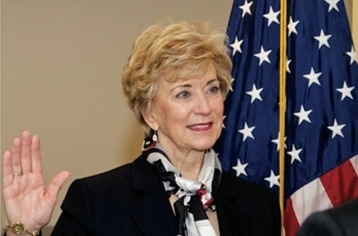 All SBA programs and services are extended to the public on a nondiscriminatory basis. Southwestern College Higher Education Center, Multipurpose Room, 880 National City Blvd. from 1:30 p.m. to 3:30 p.m.